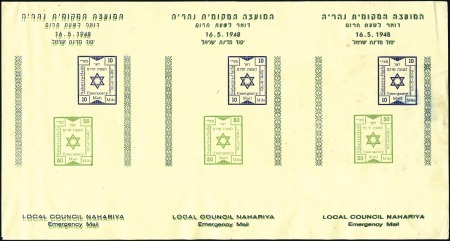 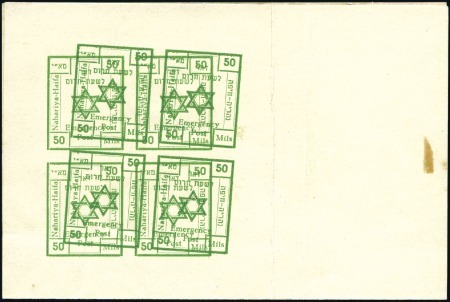 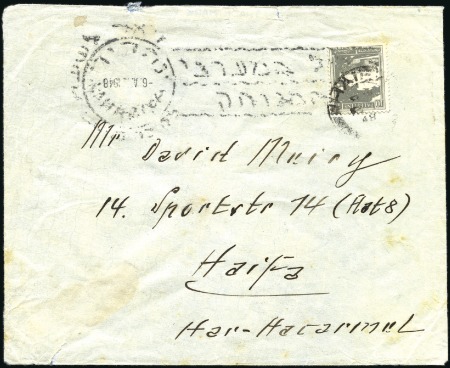 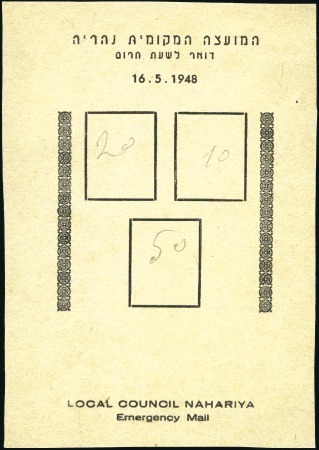 NAHARIYA EMERGENCY POST, 50m Imperf Proof, 4 Blk., green, double printed on heavy paper, vertical crease not affecting block. 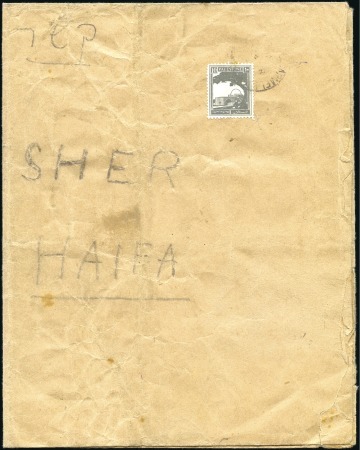 See page 34 of Bale 2013…. 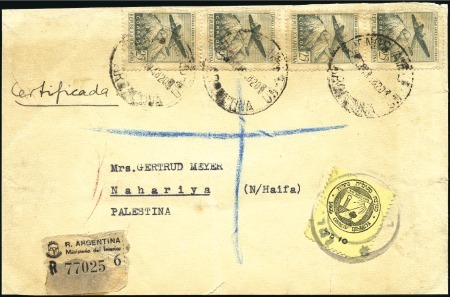 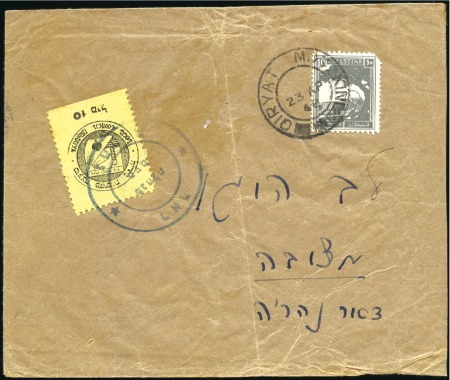 ARGENTINA Package front, 4x25c stamps, registered, addressed to NAHARIYA with 10m yellow municipality revenue stamp tied by Nahariya M.H. 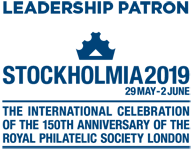 hand cancel….